What a great property! They say it is 10 minutes' walk from the port, which is true, but two minutes from the property is another part of Katopola town that is charming with a small fishing harbour and divine pub, restaurants on the water's edge and an old fashioned small supermarket. The property looks isolated, but it is not. Many locals and yachties walking past. 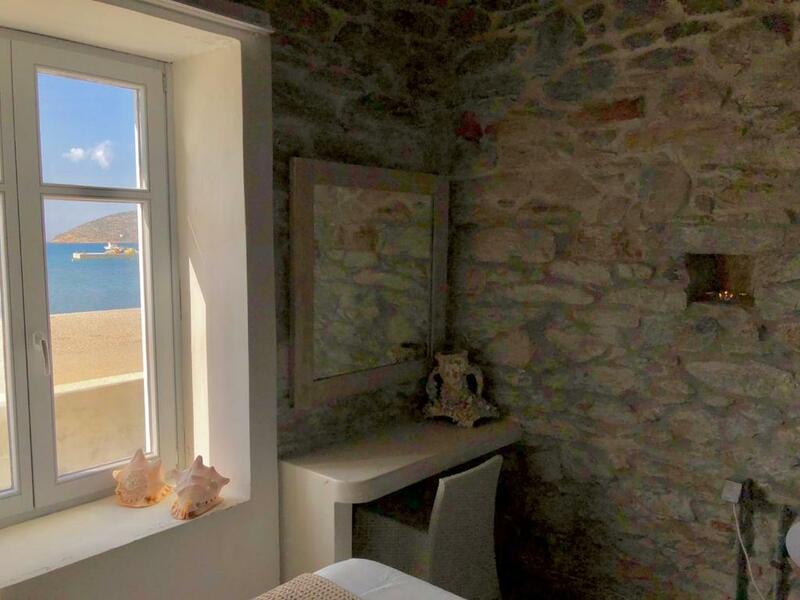 Accommodation is very large, well designed with a high roof and stone inside wall, has a super comfortable bed, a nice sofa, well equipped kitchenette, black out curtains and best of all, an outside terrace overlooking the bay with lovely outdoor sofa and two lounge style chairs. There is no photo of this on the site yet. We had a BBQ in the terrace downstairs that has a view to the sea while you prepare the food. Thomas was very helpful with suggestions and a lift from the ferry. Do visit Moon Bar and cafe a 3 minute walk away with such awesome atmosphere and music. We relived our youth there! Great spot on Amorgos. 5 min walk from ferry. Close to Chora Monasteri and Aghia Anna beach. Mr. Thomas very friendly and helpfull. Has got a car rental with friendly prices. 150 years old villa renovated and very nice. Love that you could cook on the barbeque and walk across for a lovely swim. 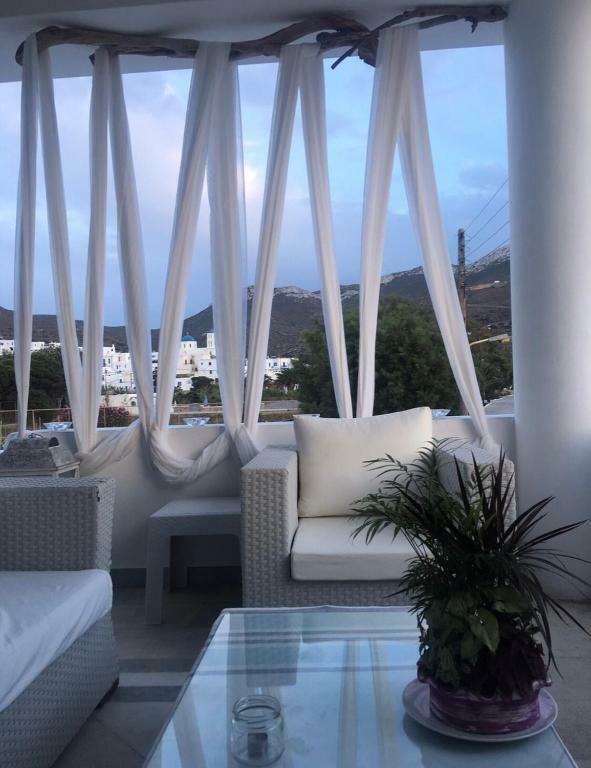 The apartments are beautifully designed and positioned and Thomas is on hand at the port to answer all your questions and give a walm welcome. Gorgeous rugged island. The location of the room I did book, not the one I stayed at in the first night. The initial architecture is nice, as well as the location of the house, direct on the sea in the bay of Katapola. High ceilings. Very quiet, charming, great place in front of the katapola bay, a few meters from the sea. Very nice location on the Beach near lots of restaurants in small and charming Katapola. Very nice outdoor patio. Very comfy bed and living area. The bathroom is good and the shower hot and strong. We enjoyed our stay and loved chatting with Thomas and marina. We got lots of useful tips from marina - plus thomas’ mum was also staying and gave a ya some lovely sweet treats! The verandah is shared - great view and nice place to have a drink after a hard day at the beach. Lock in a great price for Thomas Villas on the beach Katapola – rated 8.2 by recent guests! One of our best sellers in Katapola! 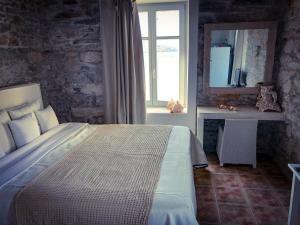 Located right on Katapola Beach, Thomas Apartments is a self-catering accommodations located in Amorgos. 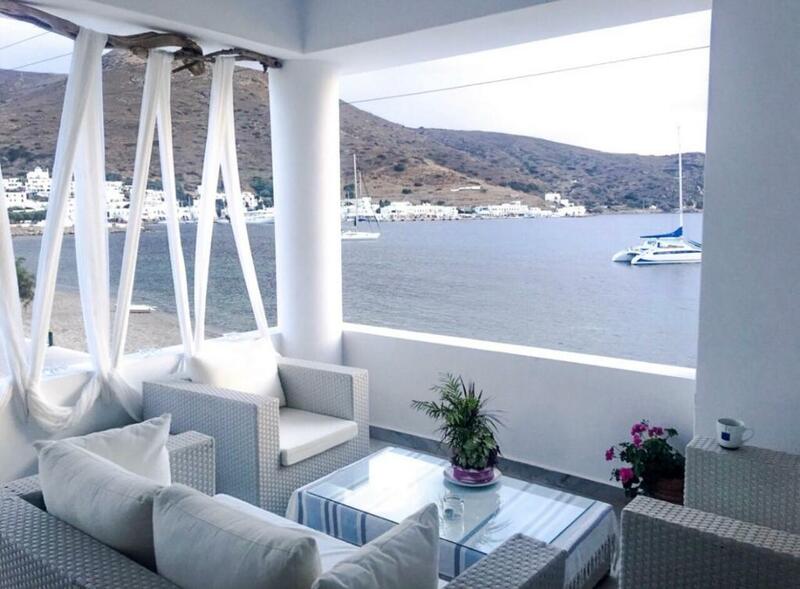 It offers accommodations with Aegean Sea views. Free WiFi is available throughout. Opening to a balcony or terrace, all units will provide you with a flat-screen TV and a seating area. There is a full kitchen with a microwave, a fridge and an oven. Private bathroom also comes with a shower. At Thomas Apartments you will find a garden and BBQ facilities. 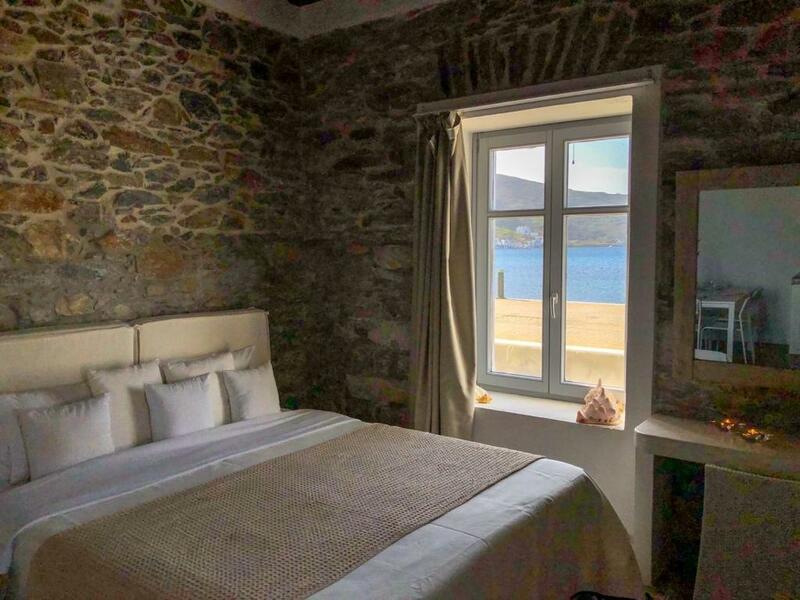 Amorgos Town is within 3.1 mi, while Katapola Port is a 10-minute walk away. The property offers free parking. 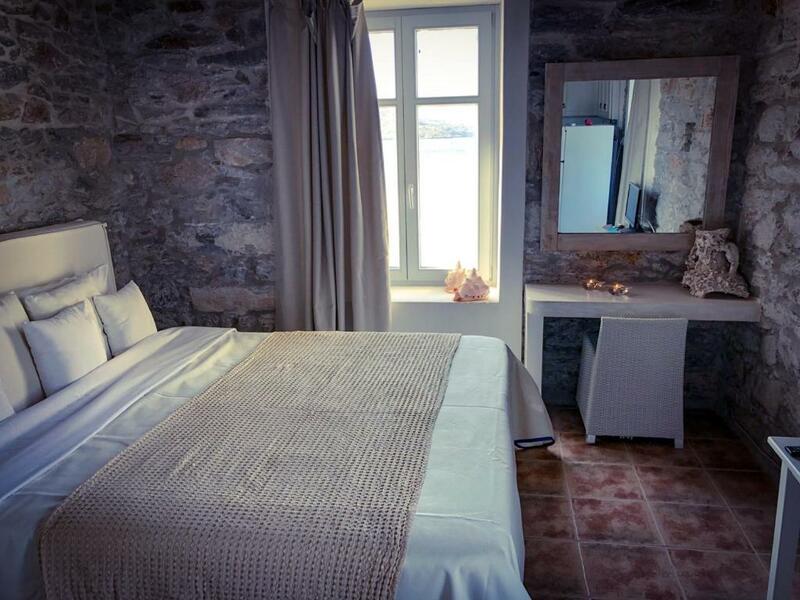 When would you like to stay at Thomas Villas on the beach Katapola? Offering Aegean sea views, this 1-bedroom apartment includes free WiFi, a flat-screen TV and a fully equipped kitchen. This studio has a kitchen, oven and kitchenware. House Rules Thomas Villas on the beach Katapola takes special requests – add in the next step! Thomas Villas on the beach Katapola accepts these cards and reserves the right to temporarily hold an amount prior to arrival. Please inform Thomas Villas on the beach Katapola of your expected arrival time in advance. You can use the Special Requests box when booking, or contact the property directly using the contact details in your confirmation. Maybe not sufficent kitchen equipment. Because of alleged doctors orders, the person staying in the room we had booked had to stay another night. Thomas, without letting us know in advance, waited until we arrived and informed us on the spot we would be staying somewhere else - where we had no view to the ocean whatsoever. Thomas gave us a “discount” (he called it a “gift” a few times) for the atv we rented from him, allegedly as an act of reparation of the change in rooms. When we checked out, however, things became clear: when we asked for a recalculation of our total booking price he refused to do so, claiming that he had already given us the discount in the atv with the price difference of apartments in mind. It was a very unpleasant experience, given that (1) there was no notification in advance of this change, (2) the owner lied when he offered us a “discount” in another service when there wasn’t one. Thomas acted in bad faith so I cannot recommend this property. We were disappointed on two fronts: - the issue of privacy. The terrace/balcony appears on the adverts and looks as it would be belonging to the room. It is the case but only to a certain extend. There is a second door and the terrace is in fact the platform for the entrance of the main house, the one of the owner, were a 3 generation family was living during our stay. Therefore, the door and the window with the see view had to be closed or the curtain closed, because at any time somebody could pass by. The terrace is also not for exclusive use. - the maintenance. Although the house in itself has caracter with high ceilings and wooden floor, the equipments and maintenance are disappointing. In this price class one could expect air conditioning (but it is fair to say that the advert does not mention air conditioning, and only heating). But moreover a lot of little things in the room, the kitchenette and the bathroom would deserve to fixed and cleaned properly (shower...). Lack of air condition made it hard to sleep. Not cleaned enough when we checked in. A bit pricy place to stay at due to the standard of the fascilities. The apartment wasn't serviced, and we weren't sure about emptying the bins. But small detail overall frankly. more blankets but only because we came in late october! additional kitchen utensils would be great too. Not clean, not working fans (only one in kitchen, very hot in bedroom), not working all lamps, no kettle, fungus on the walls and in shower, after shower water on the floor in bedroom. Great localization, 10 m from urban beach. Big apartment with bedroom, 2 bathrooms and livingroom. Very nice deign. Close to restaurants, port, beach.